After 5 years of part-time studying; countless hours of sitting in libraries and reading (188 sources cited), writing, re-writing and more re-writing and watching and analysing about 20 films again and again and again, I submitted my PHD thesis today. It is 292 pages and 99,543 words long. 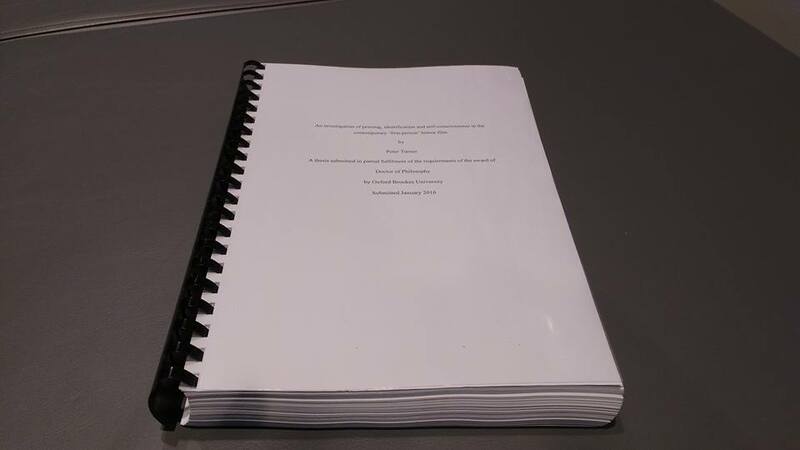 Now I've just got to get through the viva exam around Easter time, and then hopefully get the thesis published as a book, and hopefully get a lecturing job out of it now! Thanks to everyone who has been in any way supportive over the last 5 years. It's been awesome and I'm going to miss it. 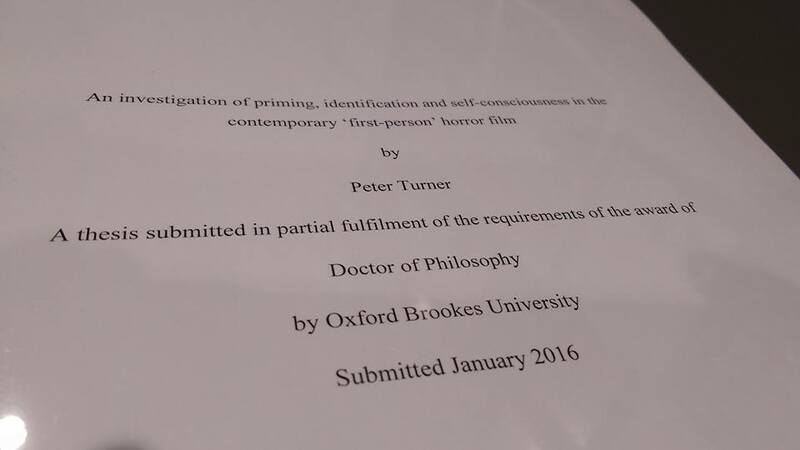 As I'm now in a navel-gazing kind of mood, here's a look back at some of the highs and lows of the past 5 years, as I have attempted to complete this thesis, watched a lot of awful films (and some really good ones too) and got a short book on The Blair Witch Project published at the same time!